designed to address novel methods and techniques in which digital technology and state-of-the-art computational science methods are used for collecting, managing and analysing data in humanities and social sciences research as well as for modelling humanities and social science phenomena. 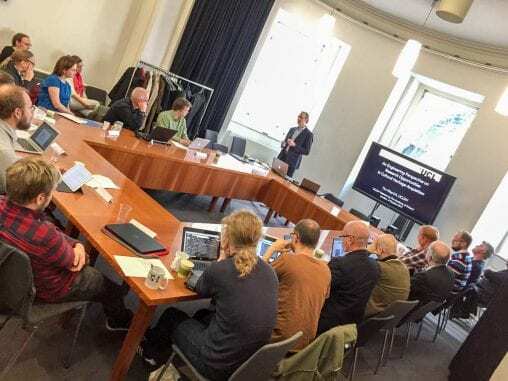 Various shared areas of investigation came out of the meeting, including manuscript studies, text and analysis tools, big data and high performance computing, OCR challenges and the social aspects of digital humanities. 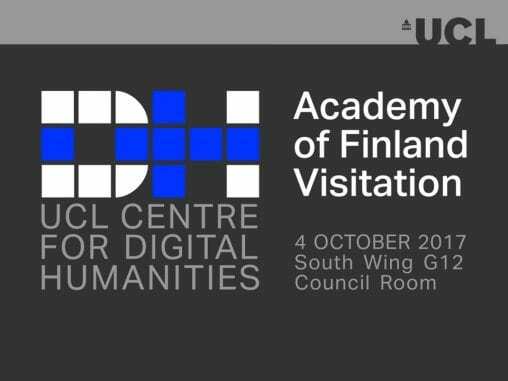 Prof. Tim Weyrich, UCLDH Deputy Director, speaking to the DIGIHUM delegates.